Kay Ward is a consultant in the Kansas City office of A.V. POWELL & ASSOCIATES. 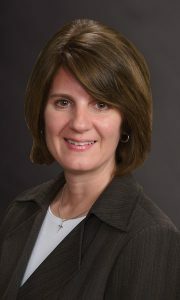 She assists in actuarial analysis for CCRCs and provides FORCAST and FINAID support to our clients. Kay has been with A.V. POWELL & ASSOCIATES since January 2009. Expert on FINAID software, which evaluates the financial condition of prospective residents prior to their entry into a community. Expert on FAST software, which calculates entrance fee amortization according to GAAP.